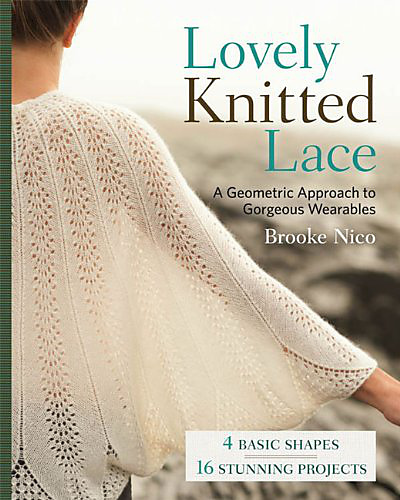 © 2014 Lark Crafts, an imprint of Sterling Publishing Co. 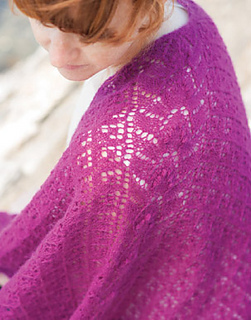 This shawl is knit from the top down, beginning with a tab; it forms a square back that is flattering on many body types. 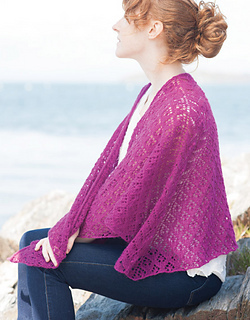 The wide lace panel at the back means this shawl will stay on your shoulders! Chart 3, sts. 10 and 11 should be a plain knits, not k2tog, yo as charted. The repeat should be only 8 sts. wide, not 9 sts. as charted. Row 1 should read yo, k1, (yo, ssk, k6)) repeat to last 2 sts. yo, ssk, yo.